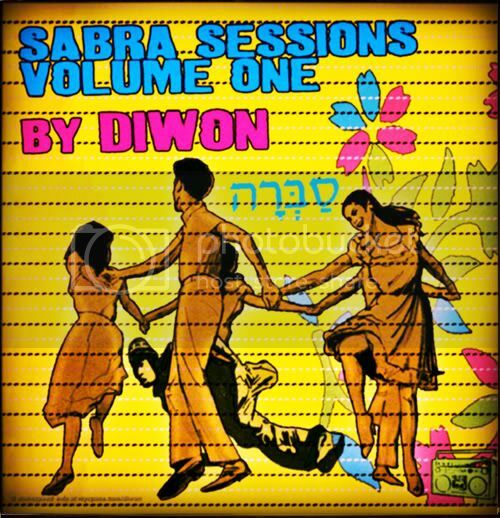 Based in the stereophonic heart of Brooklyn, world music maestro Diwon (aka Erez Safar) is one of the most innovative and versatile Producers and DJs performing and recording music today. Diwon’s beats are strongly influenced by the musical traditions of his mother’s family, whose roots lie in Yemen. He blends Yemenite music with electro hip-hop and cinematic psychadelia, and draws inspiration from the Middle Eastern musical canon. Diwon releases a clutch of albums every year. The last twelve months has seen The Beat Guide to Yiddish, the quirky Rarities & Remixes and the hour-long meditation Shir Ha Shirim (The Song of Songs), mixing heartfelt Moroccan song with hypnotic hip-hop, rock, and Middle Eastern beats. Diwon is currently completing his soaring, cinematic album Serene Poetic, with guitarist Dugans, as Dreams in Static, while working on the revolutionary hip hop record This is Unity with acclaimed multilingual MC Y-Love, as well as working on his own records, Diwon Riddim and Others, which will feature vocalists and rappers from across the globe, including the white-hot Sizzla. Diwon’s music brings to mind a Brooklyn-based hybrid of the best elements of Diplo and Cheb i Sabbah. URB magazine listed him amongst their NEXT 1000 and wrote that “Diwon is something else…in a profound kind of way”, calling his sound titillating and ‘juicy for the ears’, while The Village Voice described his producing as ‘adventurous and banging’. CBS featured Diwon as part of their Faith, Music and Culture series and he has made appearances on NPR, PBS, and BBC World. Diwon is also mastermind of Shemspeed (www.shemspeed.com), the web’s largest, most diverse Jewish music site; the independent label Modular Moods Records (www.modularmoods.com); the 40 Days 40 Nights Campus Tour, a festival stopping at 30 colleges nationwide; the renowned Sephardic Music Festival; and the groundbreaking Hip Hop Sulha. 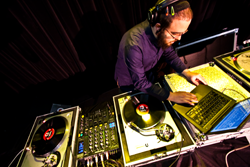 Diwon has performed with Lou Reed, Anthony Coleman, Matisyahu, DJ Spooky, and Idan Raichel, among countless others. His slamming live sets include a diverse mix of singers and live musicians, creating an unrivalled festival vibe with an explosive blend of world music, hip hop, and jazz.